TWO TEENAGERS HAVE been arrested after a 16-year-old girl was attacked on Friday evening, leaving her with severe facial injuries. 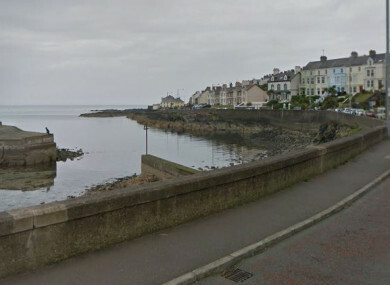 It happened in the seafront area of Bangor, Co Down at around 7.30pm. Chief Inspector Gerry McGrath described the incident as a “particularly vicious attack” and said other suspects are “actively being sought”. “It was reported to us that a 16-year-old girl had been assaulted by a group of teenagers around 7.30pm and that she had sustained a number of facial injuries. She has been treated in hospital but her injuries are so severe that medical staff will not be able to carry out x-rays on her face until next week. A 16-year-old female was arrested on suspicion of assault occasioning actual bodily harm. She has been released on police bail pending further enquiries. And a 17-year-old old male has been arrested on suspicion of grievous bodily harm with assault, aiding and abetting grievous bodily harm and assault occasioning actual bodily harm. He is currently in police custody. McGrath asked members of the public to refrain from using social media regarding the case. Police appealed to anyone who witnessed the incident on Friday evening to contact them on the non-emergency number 101, quoting reference 1465 of 22/4/18. Email “Two teens arrested and more sought after vicious attack on girl (16) left her with severe facial injuries”. Feedback on “Two teens arrested and more sought after vicious attack on girl (16) left her with severe facial injuries”.